Professional wrestling (WWE) has been a huge success. It is also an endless inspiration to millions of people across the globe. The show honors the true spirit of fighters. Because of its growing international audience, it also influences the music scene. The fans love watching the show AND listen to the entrance theme when they work out. To all the WWE fans out there. This ringtone collection is specially made just for you. We believe these WWE ringtones will ignite the fighter spirit in you every day. 1 What is the use of WWE music? 2 Why do people like WWE music and ringtones? 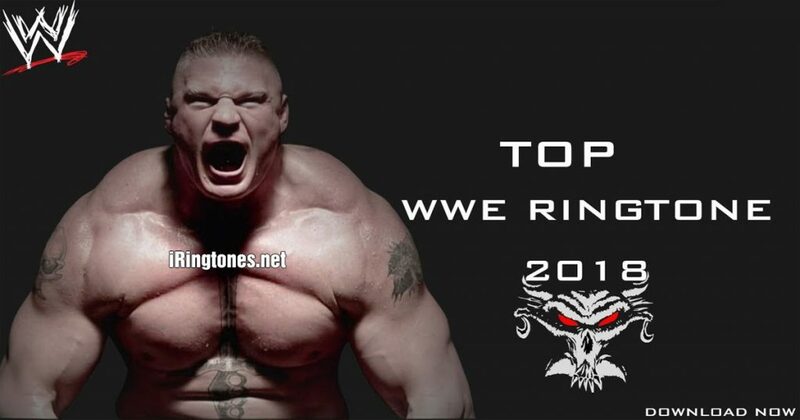 3 Where can I download the best WWE ringtones? What is the use of WWE music? In professional wrestling, WWE music is often used as the entrance theme. Firstly, it is to alert the audience that a wrestler has arrived. Secondly, it helps to boost the anticipation in the audience. Different wrestlers may have different entrance theme. Thirdly, when a match is finished, they also play a unique theme for the victors as they exit the ring. Hence it is so easy for fans to recognize WWE music and grow on it. As it kind of represents their favorite wrestler. Why do people like WWE music and ringtones? Because it is the music for professional wrestling matches. These are the most epic, hip and edgy sound you will ever listen to. WWE music is quite similar to work out music or gym music. Which features a mix of drum and bass, electronic and a little bit of pop. Most of all, the killer beat from WWE music is the reason why men like it so much. It makes them feel more powerful. Just a few seconds of WWE music and ringtones will get you up and ready for everything. The WWE ringtones sound super upbeat and energetic. That is why every fan wants to have it on their phone. It is one of the best ways to express their strong passion for this sports. Where can I download the best WWE ringtones? No matter if you are a long time fan or just begin to watch professional wrestling. You will definitely like this collection. We have gathered here most popular WWE ringtones. They are the most downloaded WWE ringtones on major music sites and fan sites. The best thing is this collection is 100% free for you to download. Check them out below and don’t forget to tell us which one is your most favorite. Share with a friend who also likes professional wrestling.